Introducing our NEW Fiery Supreme BBQ Sauce. The same great taste as our Original Supreme, with a smooth delicious touch of Heat. This sauce is an 11 on a scale of 1 to 10 on a DELICIOUS scale. 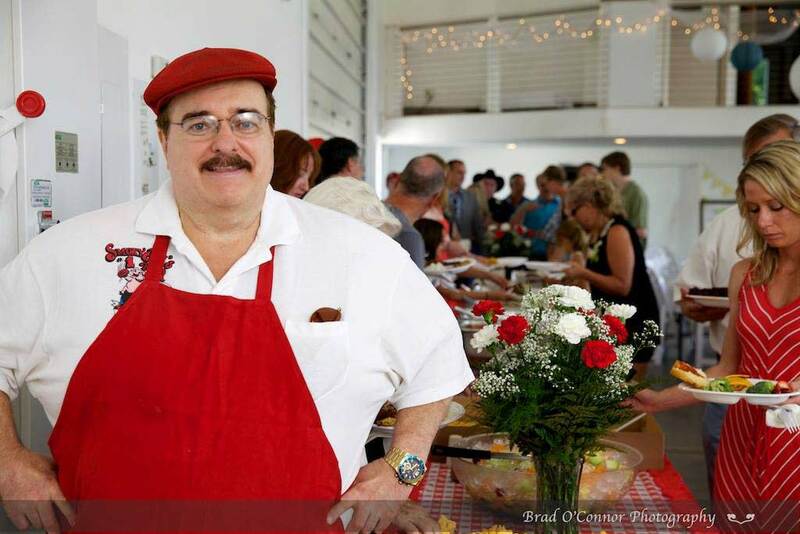 It can be purchased at the restaurant or at your favorite supermarket or meat market today. ✔ A rich, full-bodied brick red spicy-sweet gourmet BBQ sauce with a smoky, spicy bite! For best results, warm sauce to proper eating temperature and pour or brush sauce on meat after it is fully cooked. Give the sauce five minutes to “Glaze” and “Penetrate” the meat, then serve promptly! 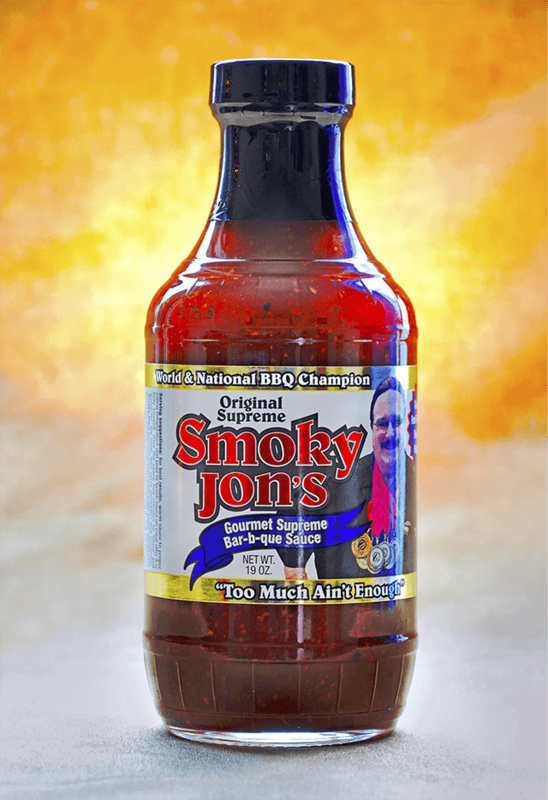 And remember, “Smoky Jon’s gourmet supreme bar-b-que sauce” always puts you in the winners circle, and your guests in “hog heaven”. Try it as an award winning condiment and it soon will be your favorite table sauce. Try some on your favorite sandwich, salad, left-overs, or snacks. It’s BBQ in a bottle! 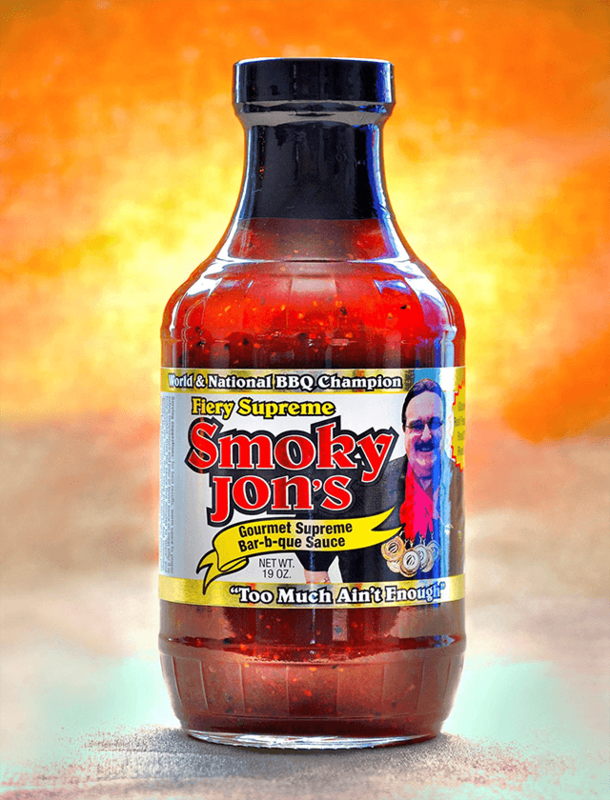 SMOKY JON’S BBQ SAUCES ARE GLUTEN-FREE! SMOKY’S LAW: No meat goes in the Pit without “Flavor Magic” Seasoning! ✔ Great Dry Rub Seasoning is the foundation of great BBQ. ✔ Couple this with great BBQ sauce and you’ve got a winning combination! A zesty, epicurean blend of spices and seasonings, Smoky Jon’s Flavor Magic All Purpose Seasoning is all that and more. Use with Smoky Jon’s Gourmet BBQ Sauce for an unbeatable combination. Great on all types of meat and poultry, salads, vegetables, sauces, gravies, soups, even popcorn! 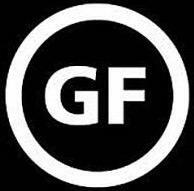 SMOKY JON’S SEASONINGS ARE GLUTEN-FREE!